Merry Meet Magazine has been supporting the D.O.R.C.H. 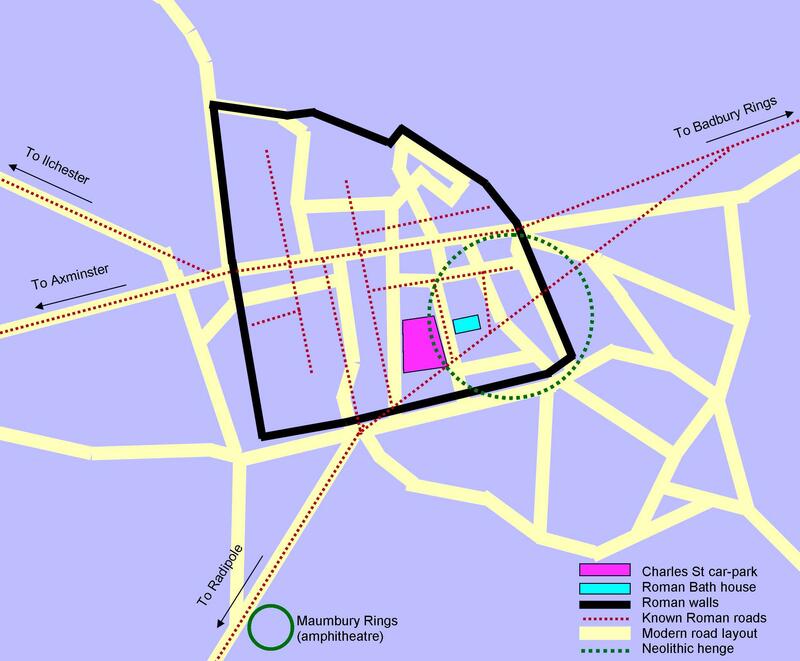 (Defend Our Rich Cultural Heritage) Campaign to prevent developers and West Dorset District Council destroying important archaeology during the building of a new shopping centre. 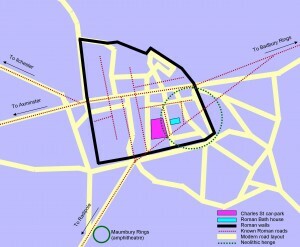 The site in question lies in the centre of modern Dorchester, within the old Roman walls, and forms part of the site of a unique and internationally important Neolithic henge monument, as the map below illustrates (click on it for high-res. version). The developers, Simons, are in cahoots with West Dorset District Council to develop the site as quickly and cheaply as possible. To this end the latest planning application has severely curtailed the amount of archaeological excavation proposed for the site, despite the fact that the proposed underground car-parking area in the new development would effectively destroy all the archaeological layers below ground level.